After law school, Ms. Mussallem returned to her home town, Jacksonville. 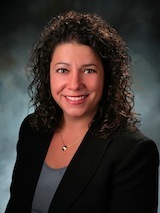 In 2004, Ms. Mussallem accepted a position as an Assistant Public Defender for the Fourth Judicial Circuit, Florida. She served the citizens of Jacksonville for three years by providing legal services for indigent clients. As a Public Defender, Ms. Mussallem represented thousands of clients and handled all types of criminal cases involving life felonies, felonies, misdemeanors, and municipal ordinance violations. She was awarded the “TRIAL GOD” award as an Assistant Public Defender. Ms. Mussallem also worked in the specialized Repeat Offender Court (ROC) division handling Habitual Offender cases exclusively. In 2007, Ms. Mussallem went into private practice specializing in criminal defense. She has devoted her entire legal career and private practice to defending the accused. In addition to being an aggressive advocate, Ms. Mussallem is respected by the State Attorney's Office. Ms. Mussallem is a former Board Member of the Jacksonville Humane Society and former Trustee on the Jacksonville University Board of Trustees.